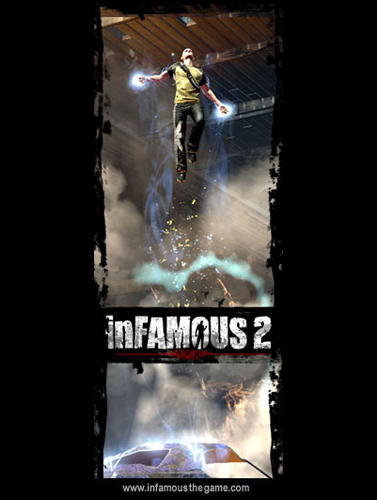 "This is my all time favorite trailer for inFAMOUS 2 that was produced during our marketing campaign. It does an awesome job of hitting a ton of the key areas that we worked to improve with the game. The notable areas that I was directly responsible for were our new cinematic cut scenes and fluid in game animations. I started out as the In Game Animation Lead on inFAMOUS 2 with the task of helping the team really push the quality bar with our animation. Along the way, I introduce a cool direction for our hands off sequences that really caught on internally and started get us buzz within the extended Sony family. As a result, I moved into the role of Cinematics Lead and worked with our Cinematic Director, Sean Stanek,to help provide a visual direction for our Motion Capture Cut Scenes." This site coded by hand in WordPad!